SOLD in under 4 Days!!!! Stunning Standard Pacific home with tons of upgrades! You cannot build in Stone Hollow for this price! Brighton is the perfect floor plan for entertaining. Beautiful nailed down hardwoods. Open gourmet kitchen with oversized granite island, stainless appliances and tons of storage. Study could be fourth bedroom. 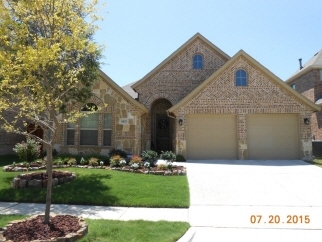 Sought after Frisco ISD. Elementary school is only one block away! Amazing community pool with cabanas and covered playground.